As an English proverb says, "All wealth begins in mind", it becomes mandatory for us that we should engage our mind to create our mind. We need to take charge of our beliefs, values and identity as there are some of the levels that our mind operate from. If we holde limiting beliefs about money or our mind doesnt know what is important to us (values), it may not produce the desired result. 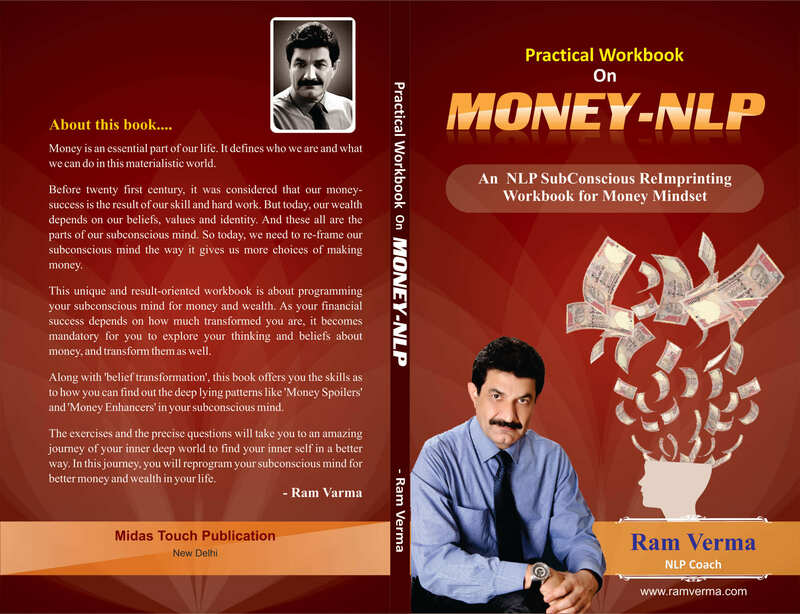 This book offers a number of NLP based techniques for the readers to reprogram their mind toattract more and more money and and create financial success. This book offers a number of mind techniques that you can use to reach the next level of life. We need a number of emotional and mental states to create different results to reach our destiny. These states are the results of the subconscious imprints that we hold. Once you know how to change these imprints, you can change your life scripts and outcome as well. This is the core objective of 'Recharge Your Life". This book offers simple and precise techniques on parenting. Parenting has become a big challenges as the present era offers a lot of challenges to the kids. Children today need to cope up with the ongoing stress, peer pressure and anxiety in schools and society as well. Also, today the kids are exposed to a number of things on TV and internet that are always hazardous to them. In such situation, there arises the need of effective mentoring in form of parenting.This is what this book is written for. Every sportsperson is faced with stress and uncertainty. They need to perform each time and stand the expectations of the team management and audience. It creates unlimited pressure , stress and anxiety. Also, each sportsperson needs to maintain his winning mental state. To enjoy that mental state, he needs to learn mind techniques that can help him gain his lost form. This book offers techniques and exercise of NLP (Neuro Linguistic Programming) that can help sports persons get rid of their unwanted patterns and also implant the patterns of better performance.